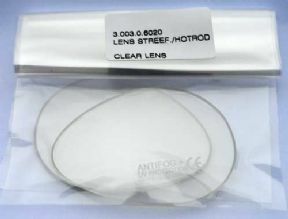 The replacement lenses are suitable for either Hot Rod or Street Fighter Styles. 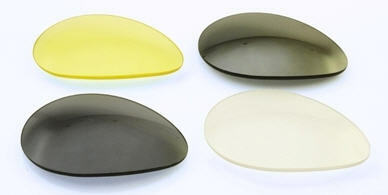 Choice of lens type and colours available. Just chose from the available options box above. Nannini Hot Rods are a uniquely designed, Italian-made compact goggle. The facemask is made from the finest quality leather which is stitched to a double-lined grilamid frame, creating a crush-proof structure. The unique foldaway design continues the Nannini philosophy of creating compact products with style. The result is they can get stuffed into pockets with zips, keys, mobile phones and many more unfriendly objects that really don't do the polycarbonate lenses a lot of good. That's why we have added a full range of replacement lenses to the range. Combined with the "easy change" design a unique feature of the hot rod goggles it also means you can select the correct lens for the driving or riding conditions you see before you.